There are lots of points that need to be considered and most times, it’s better to leave this jobs to the experts. Let’s look at some news in Australian web design and how it will affect you and business developers in the coming years. 2017 is the year we return to organic roots. Upcycling, alternative farming and engineering nature are trends dominating design disciplines such as fashion, homeware and colours, and will influence compositions and visual trends within graphic design. The rising technology-driven Generation Z are awash with images everyday, and produce their own onto an array of social media platforms. With the danger of this environment becoming easily artificial, 2017 will see a return to the natural. Lucky for us, there are plenty of great places to emulate when it comes to web design. There are many great SEO companies to look at when figuring out the next move for your website design. There are a lot of deciding factors when it comes to your web design; here are a few of them. Market Research: Knowing how your website should be designed to fit your customers’ needs is crucial for any business. Finding out what your audience is looking for when coming to your site can be discovered through intensive market research. Brand Continuity: Branding your website is imperative for your audience. Your customers should be able to see a consistent theme when it comes to your brand and your website. SEO: Search Engine Optimization is the best way to drive traffic to your website. It’s important to follow trends that are currently happening and benefit from them by using SEO friendly words. For example, a great time to have a promotion is during the holiday season because words like “Christmas” or “Holiday Sale” will be trending already and this will allow you to get more visitors to your site than you believed possible. Utilize Social Media: In this day and age, social media presence cannot be stressed enough. A good website design is only half the battle. Nowadays, online business need to be able to link their webpage to a good social media plan which should include Twitter, Facebook, YouTube maybe even Pinterest and Instagram if your company can provide a visual stimulus. It’s more important than ever to drive people to your social media channels, since 90% of the mass affluent consumers are using social media. These are just a few tips to get you started on designing your website. It’s important to remember to create a plan for your website before going out and creating it because it’s very easy to get lost in the process. If you’re looking for a creative web design solution for a new or existing online business then why not find out how you can get started “TODAY” all within your budget while getting a very effective business up and running fast. We use mobile responsive sites that are coded with HTML 5 with complete focus on getting you the results and sales you need to be successful online. HTML5 Enabled Website You need to use website framework that is HTML5 ready straight out of the box, this enables you to have a site that is not only the industry standard but very fast and flexible. This means it will save you time and money. Mobile Responsive Theme You need to have a website that is completely optimised for any mobile device as well as all standard web browsers. Save money right from the start as you will not need to create separate websites one for mobiles and internet users. Microdata Enabled Microdata allows the search engines to find all the information it needs about your business to correctly index and rank your website. Some themes support this where others don’t. I choose to use a plugin called Project Supremacy. Using the right framework that has built in support for Schema.org without the need for additional. Have a direct idea and outcome you’d like to achieve. Setting goals like this will help you stay focused and target your specific audience when it comes to online presence. If you have made the decision to redesign your website, you know that you’re in for a long process. A redesign also has important consequences on your relationship with your customers, your brand identity, and the financial well-being of your company. For some time, the prevailing wisdom has been that high-quality web pages can only be designed by people who charge accordingly high prices. 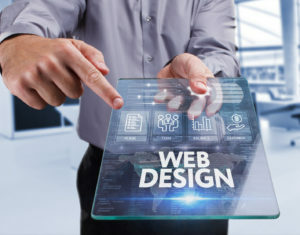 This has led many business owners to make do with substandard websites for fear they do not have the budgets to invest in high-caliber design work. In reality, web designers who create compelling sites that convert sales can be found across a variety of price levels. Ask your professional contacts for referrals for reputable web design shops, research designers, and developers who have won awards in the past. There’s never been a better time to make the most of your online website. Is Your Website Ready For Google’s Mobile Index?